Many people view the world of money and finance as confusing and dangerous, and they take a passive role in managing their own finances as a result. "Investing is for the hot shots and gamblers" they say. “After all, it takes money to make money”, they continue as they begrudgingly work their way through the rat-race. Then they slap a few bucks away in a target-date 401(k) fund and settle for meager returns year-after- year, oblivious to the mounting risks inherent in the modern monetary system that are threatening their very retirement. 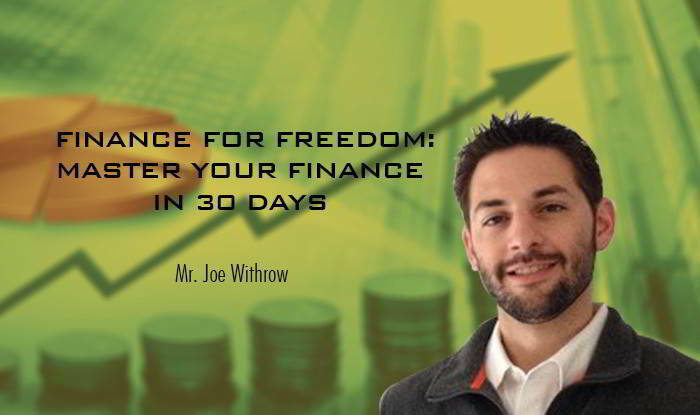 The course on Financial Freedom is here to say that it doesn’t have to be that way. There are other options for those who are willing to change the way they think about money,finance, economics, and most importantly… themselves. Though it sounds trite, the key to your personal financial success all begins with a thorough understanding of money. The Financial Freedom programme will extensively analyze money and you will learn exactly what money is, what characteristics money must contain, where money has been, and where it is going. Sounds too good to be true? It's not. This is not your standard “personal finance for dummies” advice, nor is it abstract theory. This course delivers both the core principles and the actionable strategies used by the instructor to build a sustainable financial portfolio that enabled him to quit his job and escape the rat-race within five years time. Execute the "Beta Investment Strategy"
Do you seek to master your finances and gain financial freedom? This course is for you! Are you new to personal finance? This course will teach you all of the fundamentals you need to know! Are you looking for an out-of-the-box perspective of money and finance to give yourself an advantage in the real world? This course delivers what conventional finance misses!